I hereby give full permission to use this model in any non-commercial work. 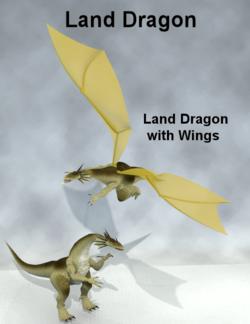 The Land Dragon and the Land Dragon with Wings are two characters. You don't need both files to create the dragon of your choice. This page was last edited on 27 August 2018, at 18:04.